Amidst rumours of a local curse, DI Meg Dalton is convinced this is cold-blooded murder. There's just one catch - chiselled into the cave wall above the body is an image of the grim reaper and the dead man's initials, and it's been there for over a century. 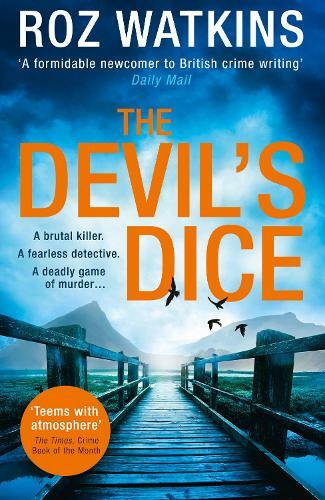 'The Devil's Dice is a terrific debut by Roz Watkins; it teems with shivery atmosphere and introduces a cop quietly different from most of the women detectives in British crime fiction today.' The Times Crime Book of the Month.